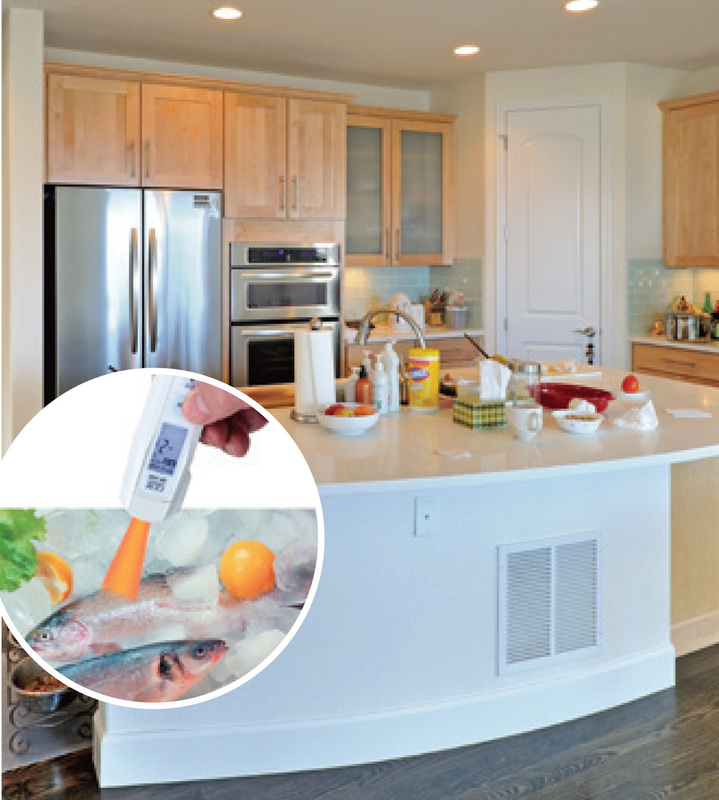 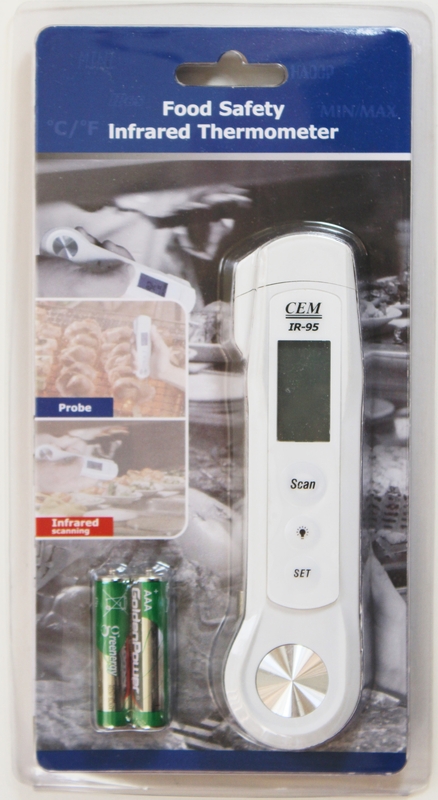 This is a brand new IR-95 certified digital food safety thermometer from Ruby Electronics. 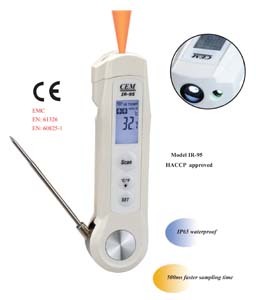 This digital instrument combines non-contact infrared thermometer with traditional temperature probe. 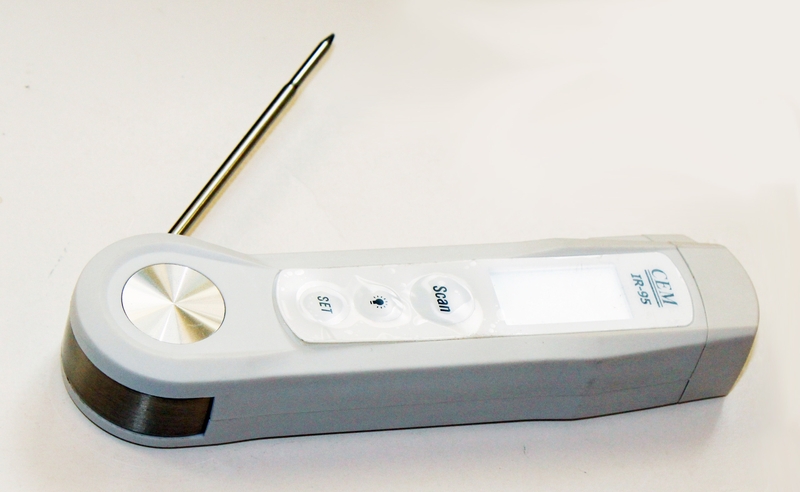 It can measure the surface and inside temperature of an object. 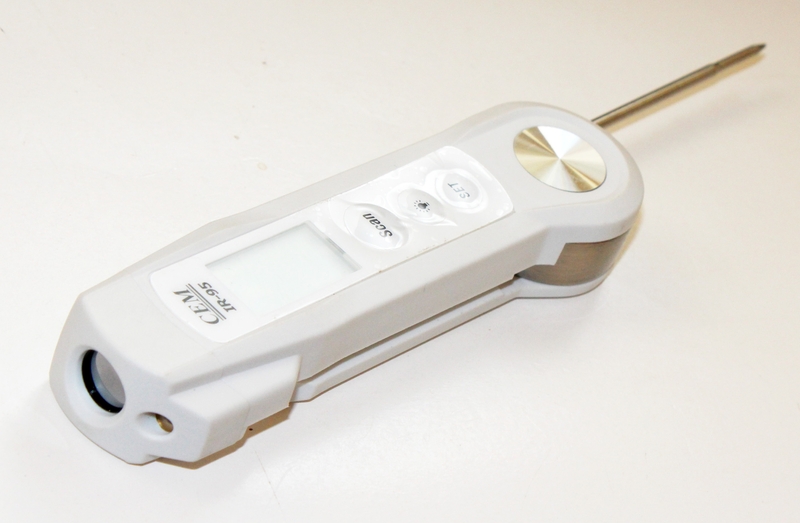 The LCD display makes the reading clear and easy. 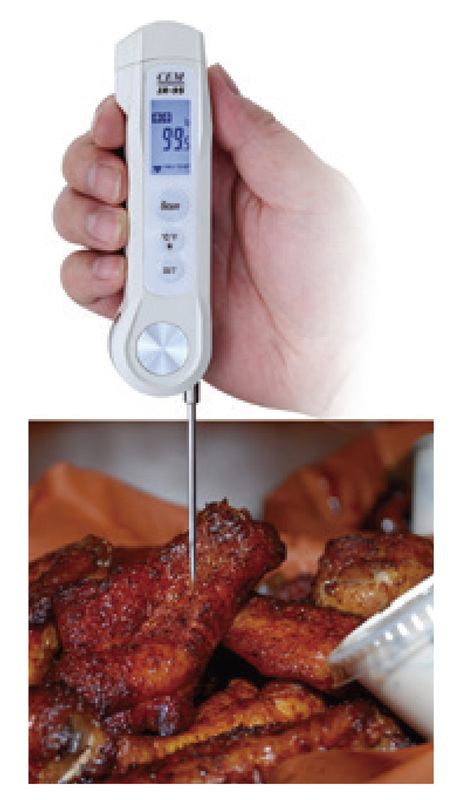 It is best to be used in the professional food temperature measurement. It is also a handy tool in restaurant and kitchen. 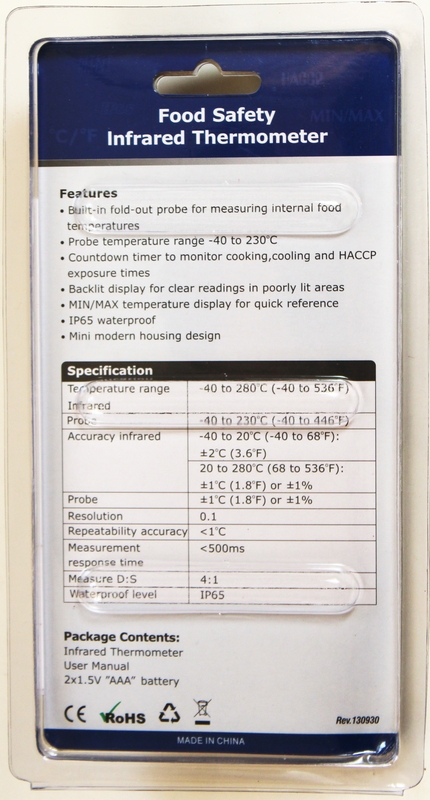 Size: 50 x 67 x 185 mm ; 2 x 2.6 x 7.3 in.